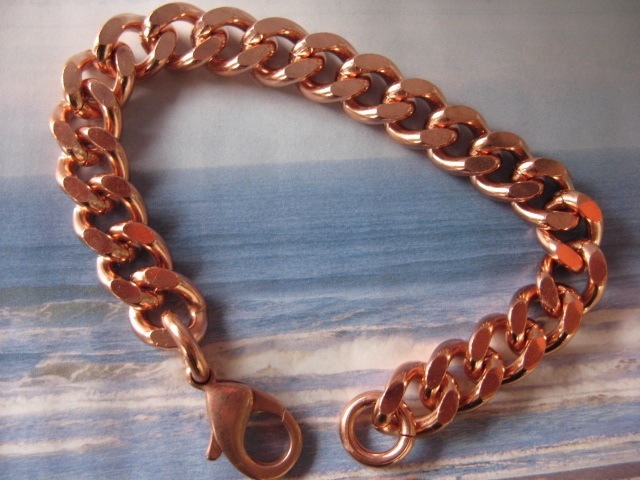 Solid copper bracelet CB670G is 7/16 of an inch wide. 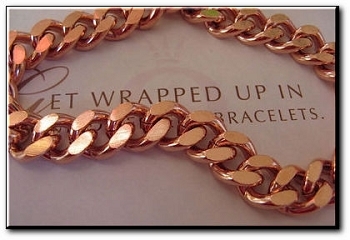 9 inches long, made in the USA. 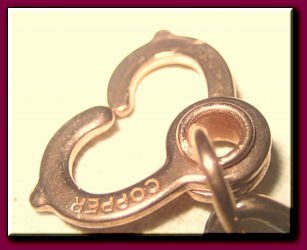 Includes a solid copper sister clasp. 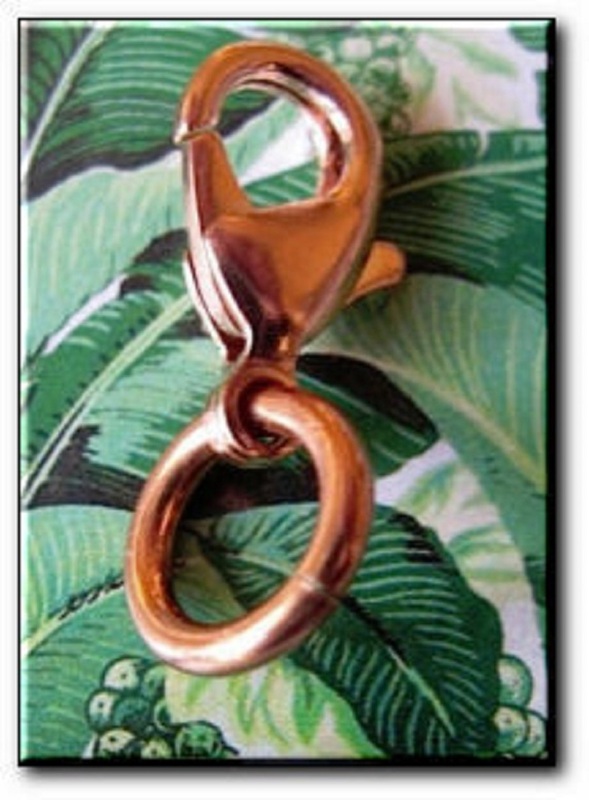 or a solid copper lobster claw clasp.